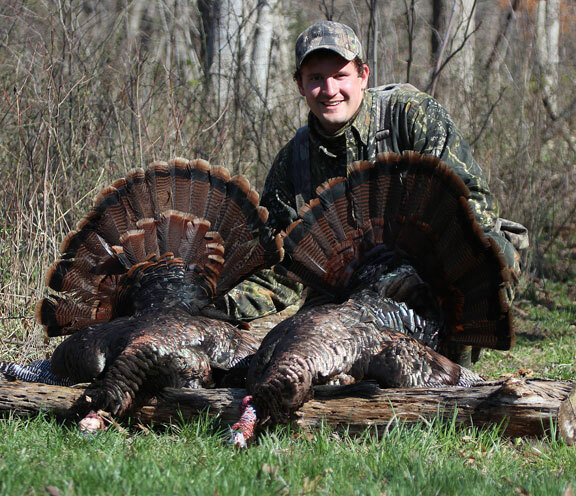 Snapshot into Mid-America Hunting Association turkey hunting lease approach servicing average hunters. Kansas, Missouri, Iowa have a high private land hunting lease demand. More Kansas licenses are sold to out-of-state hunters than sold to residents. Nonresidents are more likely to seek access by multiple means. Much of this private land demand was initially fueled by Kansas’s WIHA attracting many to travel to Kansas then disappoint with its public land offering. These same folks once getting a look at some big bucks while wanting numerous turkeys seek other means of farmland access inclusive of their own hunting lease. 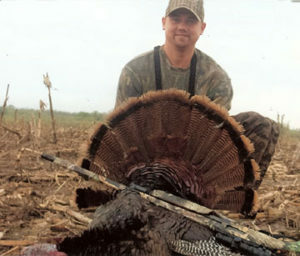 A lease in Kansas would be a high risk lease due to thinner turkey populations. A challenge to find a good lease in a state that seems over whelming in size. Much of it may appear of poor habitat. Limited time average work-a-day people to find even one thousands acres or so to lease having both good deer and turkey populations is a rare opportunity. In hunt quality at affordable cost. A four point one side zone making many trophy deer. Best hunting is north Missouri grain farming region. Not its mountains south central region. 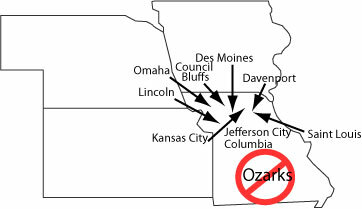 Missouri’s best hunting is surrounded by large metropolitan areas having plenty of hunters who do not have a place put a blind or stand. Public land is very limited. Deer and spring turkey tags are OTC. All above equals Missouri has our highest cost hunting lease contracts. 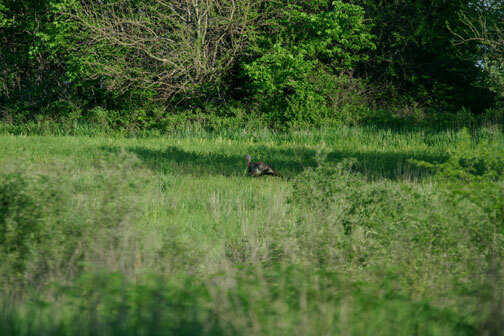 Then in Iowa, attempts to develop a turkey lease are stymied by Iowa’s competitive spring tag. Even more competitive fall deer tag. Few average guys can afford to pay a yearly private lease on just hopes of getting a tag. Member/turkey hunter feedback. Read this about as much of what it says as what it does not say – no other hunters encountered, no other shots heard, more private lease opportunity. I’m a little late, but I’m writing to tell you about my spring turkey season then later my deer season on club ground. Maybe my letter will get some other guys excited about turkey season. Let me start off by saying that my 2005 season was my greatest season to date; I ended up shooting a 22 pounder then a 25 pounder. I honestly thought I couldn’t have a better turkey season, but I was dead wrong. 2006 season was different, because I decided to buy a non-resident tag in [location deleted]. Spring tag was a little pricey, but how can you put a price on extended season of hunting time! My season started when I started hunting out in [location deleted] my first time. I chased turkeys awhile but my first turkey came during opening week. My gobbler came in following another tom. 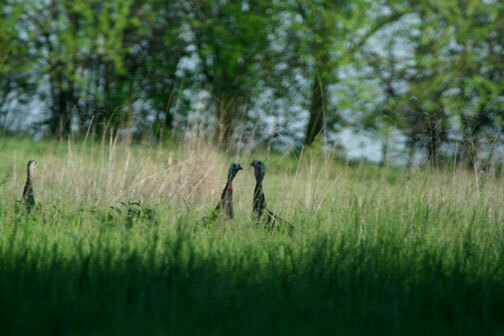 They would not separate at all; I called both birds within yards, finally my bird stuck his head out to peck my decoys. Needless to say, I put a 21 pound gobbler down good. 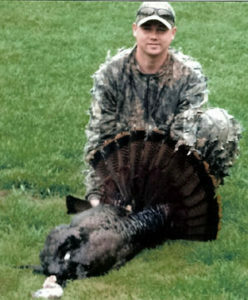 My second gobbler I shot was 2 weeks later; I arrived at my area near dawn when I first heard a gobbler call. As soon as they began to sing, I gave my first call on my slate call. They answered me while flying off his roost. He closed his distance fairly fast, but hung up outside of range. I coaxed using soft calls over 45 minutes before he finally gave me a 30 yard shot. I ran over picking up my largest wild turkey ever! This giant bird weighed in right at 26 pounds, had an eleven inch paint brush of a beard. Three days later I traveled back to [location deleted] to get in some more turkey hunting. I previously hunted this lease earlier, but I had no success. While turkey hunting there, I pretty much figured out where they were going. On this trip, I altered my tactics to try to take advantage of them. I set up where I thought they were going to be to begin my calling sequence. First hour of light came without gobbles. This was most likely due to 30 mph winds plus lateness of season. I was near dozing off when I thought I heard a gobble. I made a call followed by a gobbler answering back; he was closing the distance fast! When he came into view, he was literally running towards my decoys. I shot him point blank right before he reached my decoy spread. He was an average tom right at 21 pounds; a 10 inch beard. I continued turkey hunting up to this season’s last day; I think I was pretty much the last one that was still turkey hunting. I hunted hard, but I couldn’t close a deal on my 4th turkey. I had an absolute blast hunting both [states deleted] seeing many turkeys. My deer season was very awesome as well; I didn’t get a chance for off time as much as I wanted to, but I still seen large numbers of deer. I shot a doe my second day of bow season. This was kind of crazy because due to extreme temperatures that were going on. I wanted to harvest at least one doe so maybe it might help the buck to doe ratio. This is something I try to practice every season. Unfortunately, I didn’t get a chance again until rifle season. Although I seen some nice bucks, I didn’t see a deer big enough to shoot. I passed a number of nice 2-3 year olds that will be real good next year. Anyways, another season has passed. I wanted to share some of my experiences. Thanks again to all that helps out; you guys make our hunting association great. A big drawback to average landowners trying to operate his own hunting lease is the fear of liability in case of an accident. Some are also hesitant because they are not familiar of any background of any hunter. Or, whom a hunter may bring along as additional liability. They are concerned an unknown hunter, rather than a neighbor, will do more damage to any lease price is worth. MAHA is an alternative servicing both do it yourself hunters seeking good private land and landowners trying to generate some additional income. A cushion we provide landowners makes it possible to acquire more acreage. That cushion is our liability insurance coverage of landowners combined to a member release of liability contract. Plus our own lawyer. He will address any legal issues which may arise. However, our strongest asset is our long time standing as a business. Inclusive of many current landowner references we provide to prospective Association landowners. Those who acquire their own access are limited to that one spot in one region of one state. If spring turkeys do not use this one spot during spring season, the lease holder is left holding limited opportunity. Typically, very little time to pursue other hunting leases or options. MAHA prevents this failure. MAHA has hundreds of quality private farms leased in Kansas, Missouri, Iowa. A means to give a Plan B whenever Plan A fails. Each lease is selected from a variety of sources. All leased farms under contract have been pre-screened by aerial photos then ground scouted to ensure quality. All hunting leases are mapped on county road maps. Then posted with Association signs. Once hunters make his or her reservation all they do is hunt in a congenial manner. Enjoy each day watching a sun rise, hear gobbles, do their best decoying, calling they have skill to do. Amount of acres available is almost beyond belief. To assist with a first season we will recommend groups of lease spots for starting points. MAHA’s staff is available 5 days a week, 8 hours per day to help hunters narrow down their choices of which region or lease to spend the day(s). If any hunter is traveling a long distance, we will select a lease that has produced or one we spotted birds on during recent times. Our current longest standing hunting lease that has retained a single flock each season dates back to 1996. It is very common that we hunt a single flock on a single spot over years of seasons. 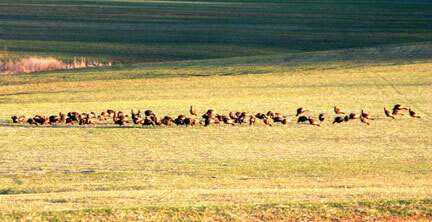 Farmland practices as do turkey flocks will change. Each hunter is encouraged on every trip to scout out a lease or more to add to future hunt choices. Over years, many of our hunters have hunted leases they have never seen before with great success. Others choose to intensely scout, making their own choices of where to setup decoy or blind. Also, there are those who return to a favored spot or another new farm only to find it is not a good spot. Wild turkeys will change patterns. Late winter/early spring just before. Flock is feeding on a large hay field. Not a gain crop in sight. All self guided hunts are scheduled by a strictly controlled reservation system. It avoids overlap on a lease. Promotes safe hunting on each lease. Our entire focus of why anyone wants any kind of lease is to be free of public lands mentality. With our business approach we insure good customer support, avoidance of public hunter congestion or, just as bad, hunting club competition. Prospective members have a vision of not enough acreage. Or, too many hunters. Assumptions held by those that make presumptions rather than finding facts. Association hunter pressure numbers will easily speak contrary to these fears. This refers back to ours being a lease business and not a hunting club. As a business we strive to gain return customers. Hunt quality makes that happen. Not anything else which may hold a club together. Value to hunters is Association’s conduct toward landowners. Scheduled lease payment, controlled access, liability insurance, is our main attraction to landowners. Then, key, for ground we want, we pay them for years. This compares to a seasonal lease a landowner may secure from one group of hunters. Our approach of seeking land for years keeps a consistency landowners prefer overt that of yearly new face turnover. Landowner do not hold all options. Ours being a hunting lease business approach includes written contracts. They have performance criteria. Exclusive use, habitat sustainment, CRP contract renewal along with emergency harvest provisions, trespass prohibitions plus more. All geared to get what it is we are paying for. This is a case where any lease contract will only work if both landowners and Association hunters can benefit from their relationship. All of our landowners are covered under our liability insurance policy. One that relates a business to landowner. A different, more protective relationship than a private person with liability insurance covering himself, not any landowner. Landowners are further protected by each hunter signing a release waiver before they receive their lease maps. A seemingly subtle difference with a twist of farming being a top 10 most hazardous professions. A hunting lease on a farm by default of location is viewed similarly by those who would bring lawsuit. Our hunters are screened. We simply do not want problems. Screening to ensure folks are respectable sportsmen. Those who treat land they hunt as if it was their own. Alcohol, any type of trash or litter are not permitted. If a hunter disobeys any of our rules they are subject to expulsion. No rehabilitation. That is not cost effective. We simply execute retribution in case of any rules violation. Foot access only. Vehicles are not allowed to drive onto or across any fields on any lease. ATV’s are not allowed. This is as much a landowner relations issues as it is a hunt quality control. An ATV is equal to more than 10 hunters’ worth of pressure. Same holds for camping. We are a hunter organization for hunting not a State Park allowing general recreation. We retain small acreage hunting leases as well as large acreage ones. With many of our landowners coming to us as they have been overrun with hunters. They enjoy moving this burden to us to deal with. Especially landowners with large acreage. This includes many large acreage corporate farms. Those which routinely as a business practice refused any land access permission. There is more. These are just highlights. An attempt to get across there is more to making this all work than just a lease agreement to hunt. Our many years of experience dating back to 1965 dealing with do it yourself hunters means a consistency of behavior only time can make. Experience of knowing every trick anyone may attempt to pull. A track record of effective response dealing with trespassing issues on our lease land reduces potential of future problems. Plus more. All focused to leave legitimate folks alone to enjoy their day. The world is not perfect. Our approach to hunting lease land comes close. We know what we want. We secure land for our needs. Then enforce what is contracted. Life can be that simple. 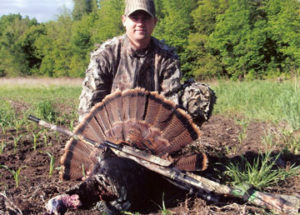 Private turkey hunting lease land in Iowa, Missouri and Kansas for self guided turkey hunts. Then a fall deer hunt.